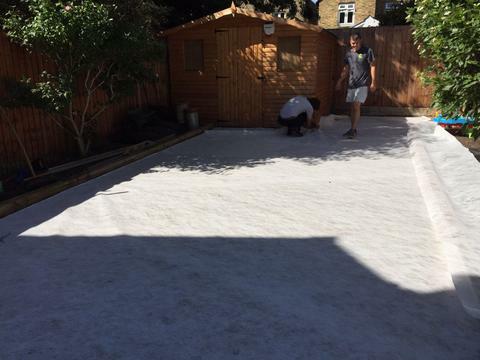 We use a Geotextile Membrane for maximum weed protection when installing artificial grass. 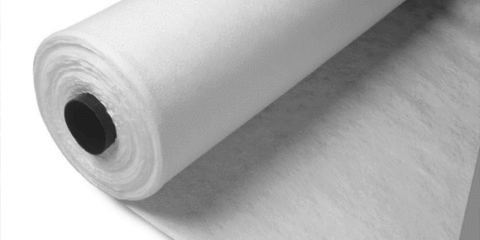 This is a white, synthetic layer that is ideal for use in drainage, filtration, separation, reinforcement and more. Its ultra durable and fully tested to ensure that weeds are kept at bay and the drainage holes in the artificial grass are kept clear and free of debris. This product is suitable for all artificial grass installations. Rolls are 4m wide sold by any length in meters.